It was probably fitting that the series should be clinched with a six. It was probably reflective of the balance of power that John Campbell, playing his second Test, should thrash a delivery from James Anderson, playing his 147th, over wide mid-on to wrap up a three-day victory. It underlined the dominance of West Indies and illustrated the confidence they have in their themselves. It was the young and strong mauling the ageing and decaying. It’s taken seven days to settle this series. One week to prick the bubble of this ‘new’ England and the silly talk of ‘total cricket’. One week to revive hopes in the Caribbean game. James Watson long ago discovered the structure of the DNA. It was a phenomenal scientific discovery regarded as one of the greatest finds in science. The DNA explains the nature of the human race. Watson won the Nobel Prize. But Watson is a seriously bigoted man. Watson does not like the African race. Now mind you; not non-white races but the African race in particular. Without a shred of evidence, Watson claims that the intelligence of African people is inferior to that of whites. He didn’t say non-white ethnic groups. He specifically referred to African people. Dual Citizenship – Am I Guyanese? There are 750,000+ of us in the Guyana diaspora who are proud to call ourselves Guyanese; cherish the unique shared formative experiences that make us so individual in the world; have supported the country and relatives back home for decades, and flock back “Home” whenever we can. Now the word diaspora is being heard with negative connotations, suspicion and even disdain. Some have found it necessary to vow to give up their second citizenship. And there has been a call by one legal luminary to clean up the house. 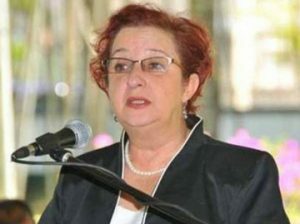 After decades of functioning as a parliamentarian in conflict with Guyana’s supreme law, Opposition Chief Whip and former Minister, Gail Teixeira, is now set to renounce her Canadian citizenship. This was announced by Opposition Leader Bharrat Jagdeo. The efforts of the Guyana Revenue Authority (GRA) to implement the fool-proof Automated System for Customs Data (ASYCUDA) system are being resisted by Government institutions, companies and even GRA officials. 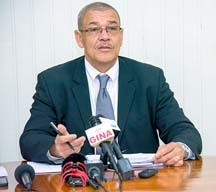 This was revealed by Commissioner General, Godfrey Statia, during his first press conference for the year, on February 01, 2019, at GRA’s Camp Street Office.